London-based Turkish DJ/ remixer who bagan DJing in the mid-'90s. He was a resident DJ at the Going Underground night at the Plastic People venue. His awards include the 2006 Mixmag DJ of the Year. Remix/mash-up work, sometimes under the guise of Kurtis Rush, includes Kylie and New Order's "Can't Get Blue Monday Out Of My Head" and Destiny's Child vs 10cc "Independent Holiday". 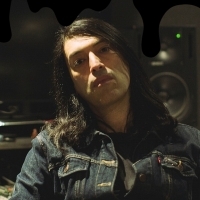 He records as part of Boys Noize - tracks include "Lemonade" and "Avalanche". Eric's remixes either go out under his name or are credited as 'Beyond the Wizard's Sleeve'.